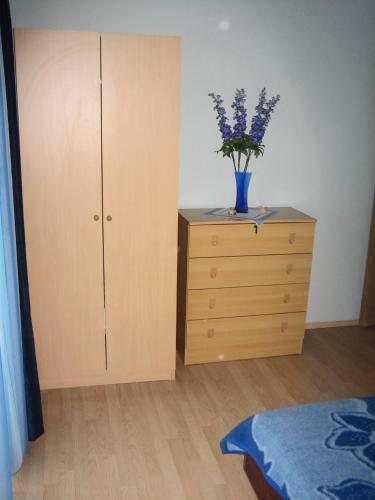 Zadar-apartments.co.uk offers you the largest list of private accommodations in Molat available on the internet, a rich photogallery and much more. Find apartments, villas with pool, studio-apartments, from cheap rooms to luxury apartment with no reservation cost. Check out guest reviews and ratings, and have a best vacation in Molat. Cheap Apartment, magnificent sea views town of Molat price per day from € 89 Accomodation is situated in an enjoyable and tranquil tourist village of Molat, away from the tourist groups and with wonderful pebbly beaches and clear Croatian Sea. Entertainment and Outdoor activities: outdoor grill, Satellite television. Distance to the restaurant: 200 m. Distance to the marketplace: 150 m. Distance to the beach: 670 m.
Air-conditioned accommodation, max 4 persons, Molat, Croatia town of Molat Apartment is comfortable and well-decorated, with terraces overlooking the sea and can provide you with an incredibly relaxing atmosphere. 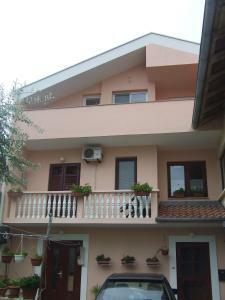 Beautifully furnished apartment in Molat is the perfect choice for a vacation in Dalmatia. The apartment is modern and fully equipped, spacious and full of natural light. General details: air conditioner, heating, parking. Entertainment and Sport: TV, Satellite television. Apartment, max 4 persons town of Molat If you want to spend your vacation near the sea in Molat in close proximity to Zadar, this accommodation is perfect for you. Apartment is equipped with modern household furniture and amenities like wireless Internet, air conditioning and private parking which will make your holiday in Molat unforgettable. Entertainment and Outdoor activities: TV, Satellite television. Holiday apartment, 40 square meters, Molat, Croatia town of Molat Apartment, decorated with style and equipped with all required appliances, is situated in a stunning house surrounded by a large courtyard, where guests are provided with a cost-free parking. Entertainment and Sport: TV, Satellite television. General details: air conditioner, parking. Apartment, 40 square meters town of Molat If you want to spend your family vacation near the sea in Molat close to Zadar, this accommodation is suitable for you. Apartment is equipped with modern furniture pieces and amenities like wireless Internet, air conditioning and private parking which will make your family holiday in Molat unforgettable. Entertainment and Outdoor activities: TV, Satellite television. Apartment Villa Mirella Providing gratis wireless internet and a grill, Apartment Vacation home Mirella is located in Kožino, 8 km from Zadar. Some units include an outdoors terrace and/or balcony with sea or back yard views. There is also a kitchen, fitted with an oven, microwave and fridge. Mountain bike rent is available at the property and the area is famous for scuba diving. You can engage in various adventures, for instance parasailing and diving. Biograd na Moru is 34 km from Apartment Villa Mirella, while Pag is 32 kilometers away. Apartments Andy price per day from € 60 Only 30 metres from the sea and 200 metres from a beach, Apartments Andy is set in the real heart of Nin, close to the green market. All accommodation units will provide you with satellite television and a seating area. A grocery store is right next to the property and a local bus stop is right across the street. Various eating places and clubs can be found in the proximity. The city of Zadar with a bus station and a ferry harbour is at a distance of 15 km. Apartments Parać Positioned just 100 metres from the sea, Apartments Parać in Petrčane presents air-cooled apartments with free internet access, and satellite television. Grill amenities and free car parking are provided. Each apartment enjoys the protection of a mosquito net and has a sofa bed and a DVD player. The kitchen is fitted with kitchenware, a refrigerator, an oven and a toaster. All apartments have a balcony. The closest pebbly beach is only 140 metres from Parać Apartments. The centre of Petrčane can be reached in 300 metres. Cheap Apartment, max 3 persons, great sea views price per day from € 47 Those looking for tranquility and quiet during their holiday in Dalmatia, will find it in this apartment, located merely a few meters from the sea. Apartment is equipped with comfy furniture and modern home appliances. Distance to the shopping center: 300 m. Distance to the beach: 50 m. Distance to the restaurant: 300 m. General details: barbecue, parking, outdoor shower. Apartment, max 6 persons, close to the beach price per day from € 93 The private apartment in the center of Poljana has a view of the town and is tastefully and conveniently furnished and close to the beach. This apartment is a fantastic place to stay for all the tourist who look for an accommodation of top quality. Entertainment and Outdoor activities: bike, outdoor grill. Distance to the restaurant: 320 m. Distance to the beach: 250 m. Distance to the marketplace: 500 m.
Apartment 371113 This Modern apartment is ideal choice for a perfect holiday. Completely equipped and comfortable they will ensure everything you need so you can fully dedicate enjoying in summer activities. Entertainment and Outdoor activities: TV, Satellite television. Apartment, close to the beach Book accommodation outside the center of Poljana and enjoy the ideal family vacation in one of the most popular seaside resorts in Dalmatia. Aside from the roomy courtyard with a lovely garden and a private car parking, this apartment provide you with comfy interiors, completely equipped with modern amenities. Entertainment and Outdoor activities: TV, Satellite television. Distance to the beach: 20 m.
Accommodation, max 8 persons price per day from £ 9 Book pleasurable and very affordable holiday house located in a peaceful part of Privlaka, only 20 m away from the nearest beach. Entertainment and Sport: TV, Satellite television. General details: air conditioner, garden, barbecue. Holiday apartment, 80 square meters, Ugljan price per day from € 53 Apartment is located in a newly built house near the water and the town center. The house in Ugljan has a beautiful garden with swings and a parking place and rooms are spacious with plenty of light and modern decoration. Entertainment and Sport: outdoor grill, Satellite television. General details: barbecue, parking. Accommodation, 102 square meters price per day from € 93 Book comfy and reasonably-priced holiday house positioned in a quiet part of Vir, only 100 m away from the nearest beach. Distance to the marketplace: 550 m. Distance to the beach: 100 m. Distance to the restaurant: 90 m. Entertainment and Outdoor activities: outdoor grill, Satellite television. Molat is an island of pristine nature located in the northern Zadar island chain. You will find 3 little settlements on the island of Molat: Molat, Zapuntel and Brgulje. The island is an dreamland for a quiet family holiday that has stunning beaches, crystal clear sea and dark-green pine forests. The perfect way to uncover the island from outside is on a little boat driving from one secluded bay to the other. Sailors frequently stop by on their way to the National Park Kornati. The English king Edward VIII as well paid a visit to Molat on his boat trip. The Benedict abbey managed the island in 11th century. From year 1409 island of Molat was under Venice governing. North-eastern shoreline is low and has several bays (the biggest bay is Jazi). The SW shore is mostly hilly, watching over the sea. Main occupations are farming, livestock breeding (sheep), fishing and tourism. Island of Molat is a quiet place, with little known beaches and many secluded coves for swimming and few taverns and restaurants. Beaches are pebbled, stony or sandy. It is advised to rent a boat, perhaps even small one, and navigate all around island exploring peaceful coves and beaches.